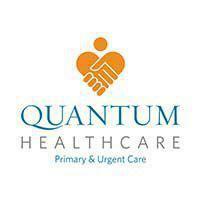 Quantum Healthcare always appreciates feedback from our valued patients. To date, we’re thrilled to have collected 59 reviews with an average rating of 4.85 out of 5 stars. Please read what others are saying about Quantum Healthcare below, and as always, we would love to collect your feedback. I always come away from an office visit knowing that my health is of the utmost importance to them. Was a very good expeince. Entire staff was very easy to work with and would recommend them. My visit’s to the clinic are always very good, because everyone there cares about you and they make you feel very welcome. They really care about you and how you are doing. It is a great experience. When I leave there I feel all of my concerns are taken care of. I was able to get in quickly. The staff were incredible. He listens and gives you recommendations. Let’s you make your own decisions. Friendly. Listen well. Would go back. The staff & doctors st the Crivitz office are very caring & truly awesome! Very knowledgeable. Answered all my questions. I was very pleased with the staff at urgent care. Its scary to get sick away from home - the staff made me comfortable and were very thorough. I would recommend Dr. Curio and his staff.